[ARCHIVE] Brainformation • View topic - "Meet Eclyse - the amazing zebra crossing"
I came across this article in the paper today. I've never seen a cross quite like this. It really does look like someone stopped half way through a paint job! that's almost like an optical illusion. you keep staring at it wondering where the joke is or something!!!! She is unique and beautiful. 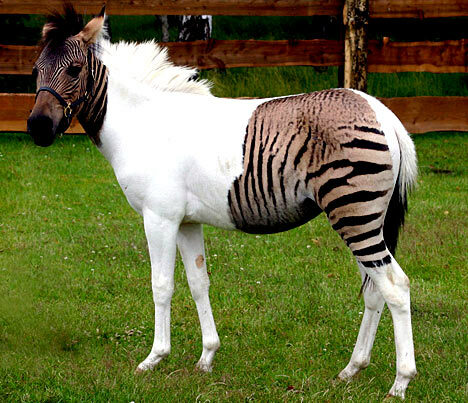 Yeah, they have called this new cross a "zorse." what a cool looking critter!